A big and sudden change occurred at the top of the leaderboard at the conclusion of Round 8 of the Tata Steel Masters. The Dutch No 1, Anish Giri succeeded in bringing down Shakhriyar Mamedyarov, who had been on a roll winning his last three games. With this win, Giri not only added a full point to his total score but also joined Mamedyarov as the tournament leader. 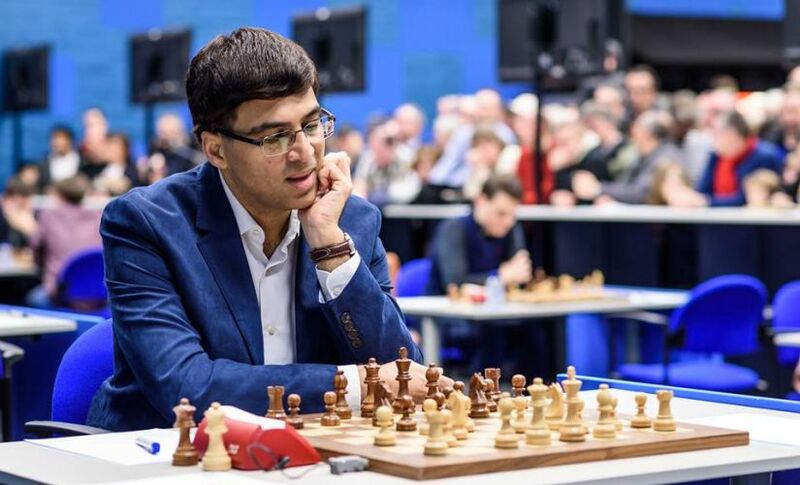 You are here: Latest News Sports News Tata Steel Chess Round 8: Anish Giri stuns Shakhriyar Mamedyarov to go joint top; Viswanathan Anand plays out draw Sports Aditya Pai Jan 22, 2018 17:47:40 IST Comment 0 Tweet A big and sudden change occurred at the top of the leaderboard at the conclusion of Round 8 of the Tata Steel Masters. The Dutch No 1, Anish Giri succeeded in bringing down Shakhriyar Mamedyarov, who had been on a roll winning his last three games. With this win, Giri not only added a full point to his total score but also joined Mamedyarov as the tournament leader. In the game, Mamedyarov misplayed the opening from the black side of a Symmetrical English and allowed Giri to run all over him from the very start. The game did not last too long; Mamedyarov resigned in merely 32 moves. Perhaps, Mamedyarov’s resignation came a bit early but with the position he had at hand, it’s hard to blame him. Mamedyarov’s loss also gave Magnus Carlsen the chance to catch up with the tournament leaders but the world champ was having a tough day at the office. In his game against the English GM Gawain Jones, Carlsen had blundered a full piece in a Sicilian Dragon with no sign of compensation whatsoever. But even though Carlsen’s compensation was unclear, the world champ knew the only way out was to grab the initiative and so he did. Jones tried simplifying the position by exchanging queens. But in doing this, he allowed Carlsen too much initiative. Soon, Jones’ position went from being better to equal to worse. Whether this was a voodoo trick or some other form of black magic is hard to tell but Carlsen managed to trick his opponent and bring home the full point.